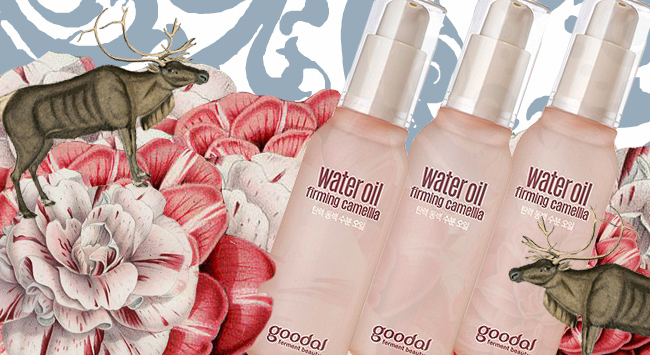 One of the products that has really helped me keep in my moisture barrier’s good books is Goodal Firming Camellia Water Oil. This is a sister product of Goodal’s beloved Waterest Oil. And like the classic Waterest, this plumps, protects, and undoes your naughtiest skin sins. It particularly stands out for being able to do all of that without the greasy tacky feeling you’d typically get from traditional oils and oil blends. As far as the firming claims, ehhh. I largely ignore anything that claims it’s going to firm my face (sorry bout it, nothing topical can really do that, if you want firm get a mini facelift or some strategically placed fillers). That goes for the “slowing down aging claim” as well. There’s nothing in here that is going to straight up slow down aging, the only thing that I can confidently claim will do that is being vigilant with your sunblock. However this will plump and get rid of dehydration lines, which can give the illusion of firming your skin for as long as you’re using it. What this really does, and does well, is fortify your moisture barrier and hydrate like a superstar. As you can see this is a clear, light liquid, with a little more slip than just plain water, but lighter than even a heavy serum. It sinks in almost instantly and doesn’t leave behind a tacky feeling. Let’s look at the goodies in the ingredient list. One thing I really like about this Camelia version as opposed to the classic Waterest oil is the exclusion of the potentially problematic lemon oil, which is a photosynthesizing oil (you can read about photosynthesizing oils here https://moonhaven.com.au/never-apply-photosensitising-oil-before-going-into-the-sun/ ) . The only red flags are infinitesimally small ones, it’s butylene glycol and dimethicone which score a 1 as a potential acne trigger. Some people do not like dimethicone in products and I normally am not a fan but I don’t even notice it in this despite it being pretty high on the list. I don’t know what kind of witchcraft they used when making this, but it clearly worked and I wish more products felt and worked like this. I love love love that the first ingredient is Saccharomyces Ferment Filtrate, a longtime favourite of mine that helps restore radiance and give life to dull skin. The biggest plus in my opinion is the inclusion of camellia. It’s something I’ve raved about in both the Illi Total Age Care line, and the Blossom Jeju Pink Camellia Soombi line. And camellia is not just some pretty smell, it’s an important ingredient that’s been used in Korean beauty since antiquity. It boasts high antioxidant content and is rich in omega 6 and omega 9 fatty acids. If I could only use one oil for the rest of my life it’d be camellia oil, that’s how much I love it. 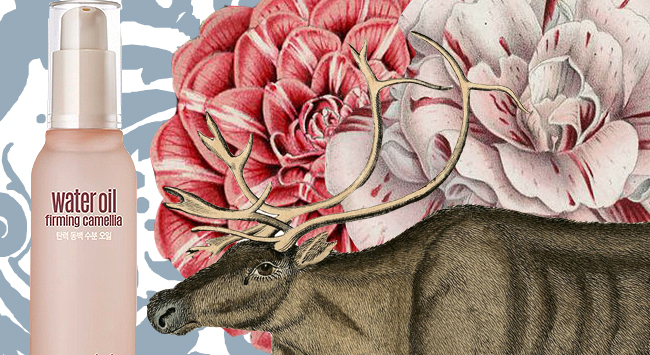 I also love it’s delicate floral scent, which this product has. It just makes everything that much more of a joy to use. If you’re wondering exactly where a product like this is going to fit in, it’s going to be your serum step. 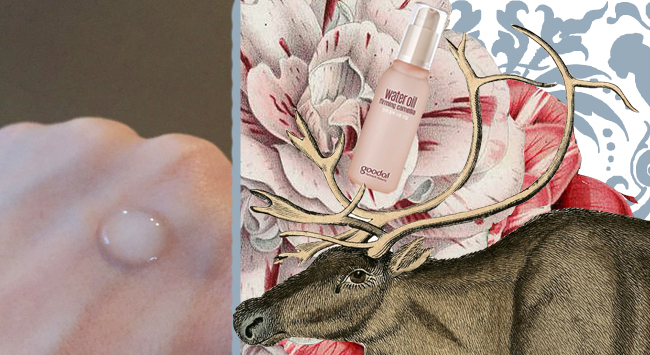 If you have oily skin and have always wanted to try the benefits of an oil (which are many!) but you just can’t stand the texture and feel, this is definitely the product for you. If you have dry skin and need some muscle that help keep dryness and dehydration at bay, this is also a must have for you. This product straight up saved my skin when I was in my last trimester of pregnancy and shortly after I gave birth. I had a whole slew of complications that left me unable to move around much. I was pretty much bed bound and in and out of the hospital. My skin was suffering and the temperatures were dropping. I have chronically dry skin and was at a point where I could only get up and do my full routine once a day. To stave off the dryness I’d apply a liberal amount of this water oil twice a day and it totally worked. In fact, if you are someone looking to simplify your routine and just want to do a double cleanse, serum, and emulsion, let this be your serum choice for winter! It’s such a well rounded product, I’ve personally recommended it to my friends. I just love it to bits and everyone who has tried it has said the same! It’s also available exclusively online at Ulta, which is very handy!